We guarantee to get you a Business Analyst job. It’s that simple. Getting a job requires Business Analyst Skills + Business Analyst Certifications + Local Work Experience + Career Counselling. Do you want to kick start your Business Analyst career in Australia? This program is ideal for individuals interested in the Business Analyst field; it combines the most sought-after certifications in Business Analysis stream. The job roles after business analysis program may include but are not limited to getting you a Business Analyst, Business Planning and Analysis Manager, Data Analyst, Business IT Consultant, Digital Business Manager, Business Intelligence, Business Adviser roles. Enroll Anytime: Business analysis job programs commence every week. Keeping in view the importance of certifications in Australian job market, the program includes hottest ITIL and BCS certifications, all courses are instructor-led and fully hands-on, course material is provided for all courses, exam preparation, exam vouchers and pre-job preparation is included. Finally work experience is provided at Logitrain and guarantee three also lands you a business analysis job. 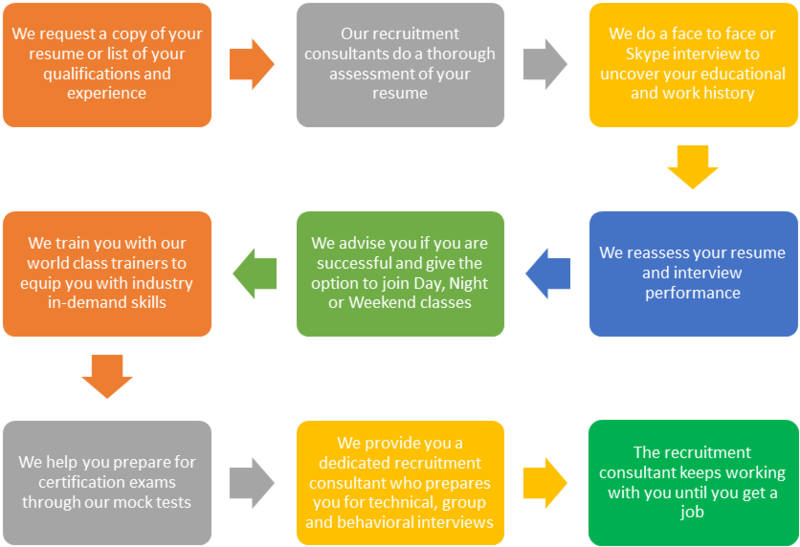 What’s holding you back, enquire now and get the business analysis job you always wanted.